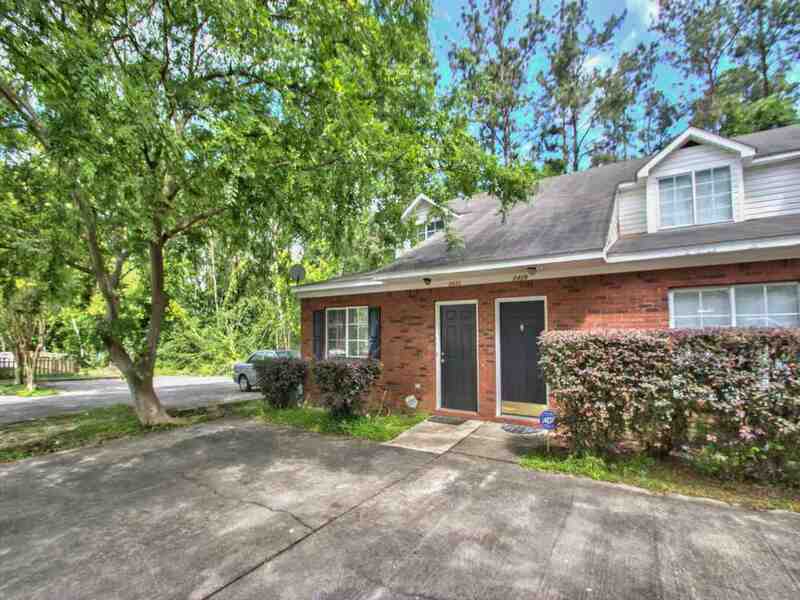 Gorgeous and updated 3bed/2bath townhouse with convenient in town location a short drive to FSU, TCC, downtown, Centre of Tallahassee, shopping, restaurants and much more. This townhouse is in great shape and is ready for you to move in and unpack your bags! Also , no pesky HOA fees here. Open floor plan with an eat-in kitchen that opens up to a spacious living room with vaulted ceilings. Large bedrooms with lots of closet space. Nice sized laundry room that comes with washer/dryer. Fenced backyard with a patio. Heating/cooling system replaced in 2010. Tiled floors all throughout downstairs and in bathrooms, and very well maintained carpet upstairs that was replaced in 2014. Other features include updated ceiling fans, alarm system, coded door entry, crown molding, recent interior paint, brand new garbage disposal, motion sensor flood lights, easy to maintain brick and vinyl siding and more! Furniture in home is negotiable. Call today to schedule a showing before it&apos;s gone! Sellers property disclosure, list of furniture in home and complete list of updates/features is available upon request.